• Amazon Alexa – an intelligent, voice-activated assistant that can be used to efficiently, intuitively and easily access information and control home devices – enables voice control of Home Connect appliances on all devices supporting Amazon Alexa, including Amazon Echo and the Amazon Echo Dot. For example, simply ask Alexa for a cup of cappuccino or if the dishes are ready. Amazon Alexa Skills are available with all Home Connect coffee machines, dishwashers and dryers. • The Home Connect integration with Nest – the premium provider for smart thermostats, smoke detectors and cameras – helps consumers optimize the status of their home and their appliances. For example, if Nest notices the home owner left the house with the oven still turned on, the Home Connect app can send a notification with an option to remotely turn it off. Additionally, if a home owner has been away, Home Connect will suggest remotely activating ‘holiday mode’ on the refrigerator to help save energy. • IFTTT (If This Then That) is a service that lets the user create connections between Home Connect appliances and other devices or applications. Home owners can configure their own applets tailored to their needs – one example of this could be, “IF my laundry is done, THEN flash my Philips Hue lights.” Ovens, ventilation hoods, washing machines, dryers, dishwashers, refrigerators and coffee machines with Home Connect are already integrated with IFTTT. • Evolved Vehicle Environments (EVE) Connect brings Home Connect to the world of smart vehicles, enabling home owners to control their Home Connect appliances directly from the car dashboard. For example, users have the ability to turn on a coffee machine on the way home from work. This partnership demonstrates how the Home Connect open platform creates truly exceptional experiences for the consumer across industries. EVE Connect with Home Connect goes beyond the remote control of appliances; it also allows the user to define automatic actions based on the GPS location of their car. For example: when leaving home, check to make sure the oven is turned off; or when approaching home, it can turn on the lights, open the garage door and pre-rinse the coffee machine. • Innit offers automated cooking programs which include cooking temperature, mode, and timing all customized to each dish being prepared. The Innit app works seamlessly with Home Connect to provide helpful guidance throughout the cooking process and ensure great results every time. Before consumers cook, they start with personalized meal recommendations based on diet, allergies, and dislikes in the Innit mobile app. Then, it lets them easily customize elements of their meal, allowing them to experiment with new flavors and ingredients to match their cravings or make the most of what they have in their refrigerators. Home Connect also boasts many other partnerships such as Amazon Dash Replenishment, Drop and Flic, to name a few. A growing number of appliance brands within the United States and internationally have joined Home Connect, including: Bosch, Thermador, Gaggenau, and Siemens. By delivering a wide array of global partners, Home Connect empowers the brands to leverage the strong network of partnerships, products and services to develop unique experiences tailored to the desires of their specific customers. For example, the Thermador Connected Experience builds a personal interconnection between the brand’s culinary-focused consumer and the exceptional world of Thermador. Meanwhile, Bosch believes technology is at its best when it is simple, and with the Bosch Simply Connected experience, its appliances offer meaningful innovations that add true value and simplify daily life. Home Connect is the first solution in the world to allow home appliances from different brands to be controlled with a single app. The system is designed as an open platform that will keep evolving to cover a growing range of services. 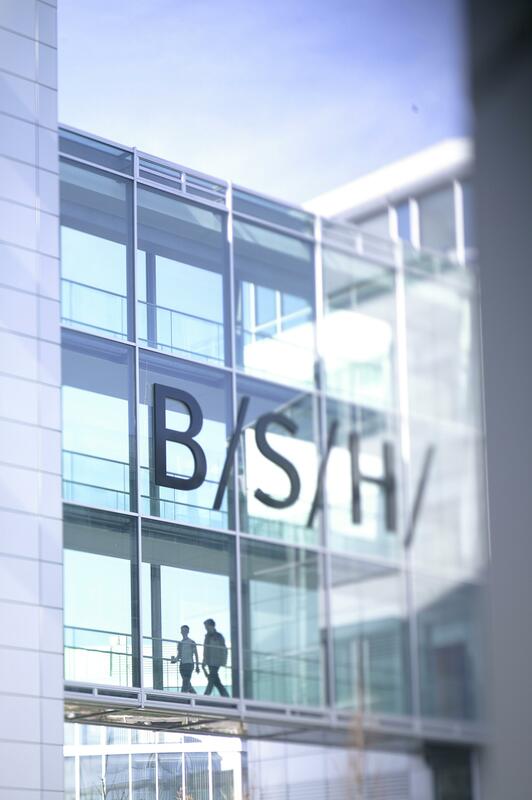 Home Connect is a global solution available in 32 countries and is offered in the US and Canada through BSH Home Appliances Corporation. Home appliances fitted with the Home Connect function and the accompanying app have been available in the US since October 2016. For more information about Home Connect, go to: http://www.home-connect.com.